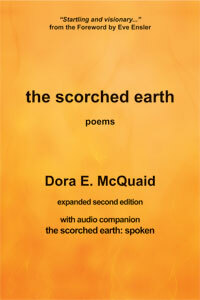 My collection of poems, the scorched earth, arrives! I am overjoyed to announce that my book the scorched earth has arrived and is shipping! The Expanded, Second edition of the scorched earth and its audio companion, the scorched earth: spoken, is NOW available! As always thank you all for your support and presence.